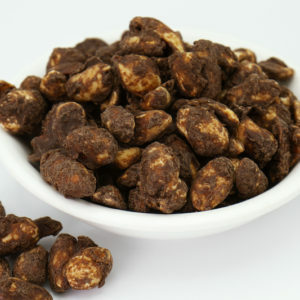 Our special combination of toasted nuts, buttery crunch and rich chocolate has become a new favorite product for our customers and is an experience you can find only at Chocolate Lab. 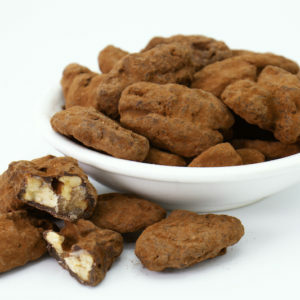 We glaze fresh nuts (Pecans, Almonds, Cashews or Macadamia Nuts) in the lightest candy coating that and then drench each with fine dark or milk chocolate. The already decadent morsels are perfected with a wisp of cocoa powder. These are ideal for sharing at parties or a special snack on their own!